Every cheese lover's dream! 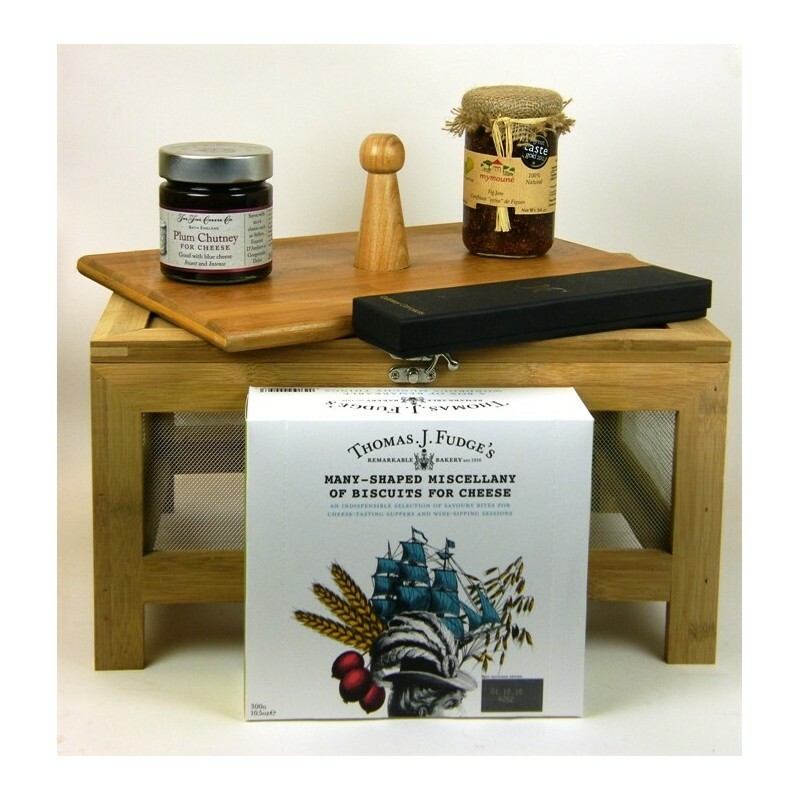 An attractive and practical cheese cellar plus an assortment of essential accompaniements. A very well made wooden cheese cellar with a hinged lid and mesh sides. The base tray has a lifting handle so the whole thing can be taken out at the table to form an attractive cheese board. Courier delivery included in the price.